With this body of work titled Remembering Gallipoli, photographer Mine Konakci explores the unusual friendship that have arisen between the Anzacs and the Turks since the fighting and anguish of the Gallipoli campaign. By photographing subjects from Australia, New Zealand and Turkey, this project documents direct descendants of Anzac and Turkish (Ottoman) soldiers who fought in the 1915 Gallipoli campaign during World War I. 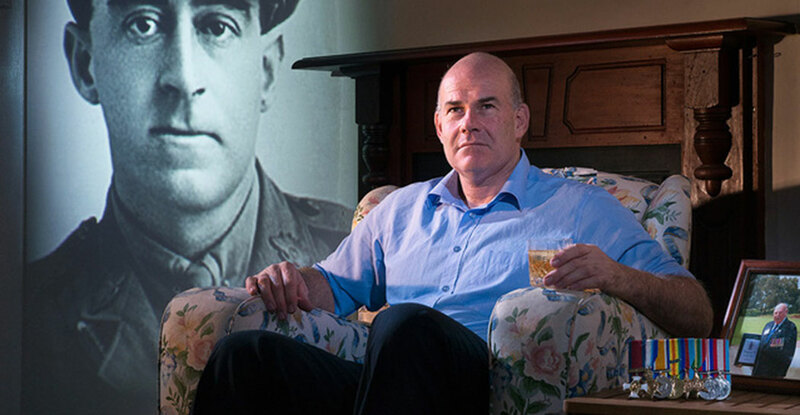 The subjects are photographed with a projected image of their ancestor in an attempt to illuminate the relationship between the soldiers who fought in Gallipoli and their descendants. During the Gallipoli campaign, both the ANZACs and the Turks suffered significant casualties and the campaign played a major role for Australians, New Zealanders and the Turks in forming their national identity. For the Anzacs, the Gallipoli campaign was seen as markingthe beginning of nationhood. For Turkey, the campaign helped in the transformation of the country from a dying empire to a new nation through the leadership of Mustafa Kemal Ataturk. During the eight-month Gallipoli campaign, both sides experienced heavy losses and hardship, but there were also exchanges of cigarettes, matches and chocolate between the opposing forces, and some unique friendships were formed between the soldiers in trenches. The Anzac spirit of 1915 has continued to foster close ties between Australia, New Zealand and Turkey. Particularly in the last twenty years, both the ANZACs and the Turks now see Gallipoli as a unique bond between their three nations. The artist's overarching aim is to rekindle the powerful connection and dialogue between the three societies. Remembering Gallipoli is on exhibition at the Museum's Historic Council Chambers site from 26 September 2017 till 28 January 2018.